Another reason why socialism won’t work in America. It was Sheldon’s 6th birthday, and Mary Cruz Lema realized she had to give him up. As Venezuela’s economic crisis had deepened, she and her husband had been struggling to feed their beloved black and white schnauzer. Their collective salaries – hers as a schoolteacher and his as a nurse – equaled no more than $10 a month, barely enough to cover meals for themselves and their two children. The last time Sheldon had had a dog treat was in November. By January, their budget was so tight that Lema stopped buying pet shampoo and begin limiting his meals to one a day. By June, his only sustenance was a few leftover vegetables from the family table. Once playful, Sheldon became lethargic – sitting in a corner in distress. So she took a step that is becoming increasingly common in this collapsing nation: giving up the family pet. f life in Venezuela has become hard for humans, it has become even harder for many pets. With inflation soaring toward 1 million percent, dog food and veterinary care have spiraled out of reach for millions of people. One kilo – or 2.2 pounds – of dog food, for instance, now costs nearly the equivalent of three weeks’ salary for a minimum-wage worker. The result, animal specialists say, has been an exploding population of abandoned dogs on the streets and rising numbers in underfunded shelters. 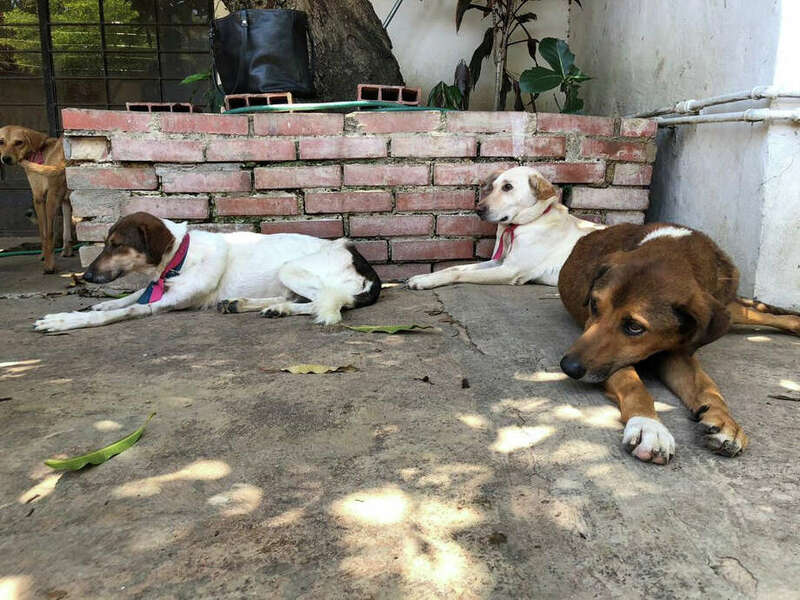 Although there are no reliable national figures on the phenomenon, officials from eight shelters in the capital, Caracas, said they had seen a roughly 50 percent rise in the number of pets left at their facilities this year. At the same time, pet adoptions have a dropped by as much as a third, they said. For Lema, the teacher, saying goodbye to her dog was one of the most traumatic experiences of her life. On that late June morning, she recalled, she walked out of the house holding Sheldon, accompanied by her two children, as representatives of an animal aid group arrived in a car to pick up the dog. The three of them were crying. Her boy, who is autistic, was especially distraught. She gave the aid workers Sheldon’s purple pillow, his little red quilt with polka dots, and the dog. As their vehicle started to pull away, her 13-year-old son started hitting the car window, shouting for his pet. Lema said she kept Sheldon’s dog tag. “We miss him every single day,” she said.